This fine Straits Chinese wedding purse has been decorated with stitch work using fine metallic gold thread in high relief against velvets of different hues including purple and yellow. The designs include dragons, birds and other small auspicious creatures against a dark background. Small metal sequins also have been incorporated into the design. The eyes of the creatures are denoted with small white beads with black dots to suggest pupils. 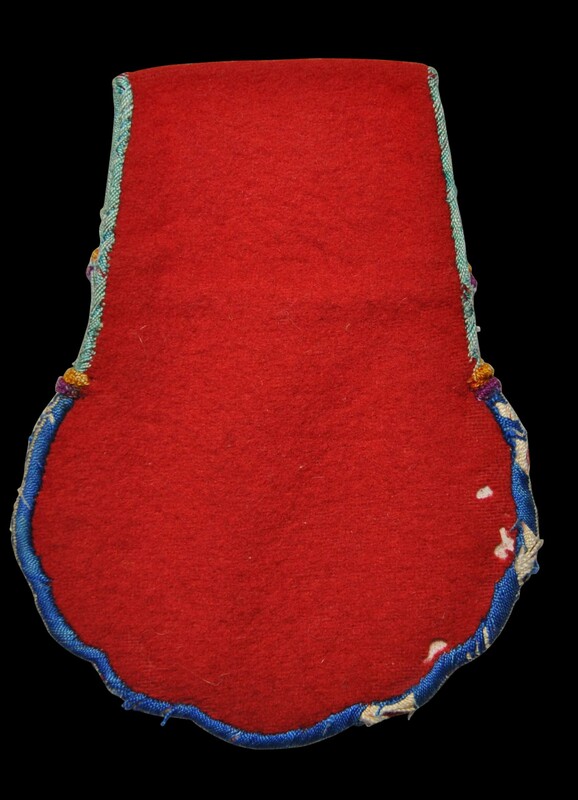 The reverse of the purse comprises a red velvet panel which is folded up over the top of the purse to create a loop through which a belt or sash can be passed. The interior comprises one pocket. Importantly, the purse is in fine condition. There is some fraying to the stitched edging and to the velvet on the back but otherwise there are no losses and no repairs. 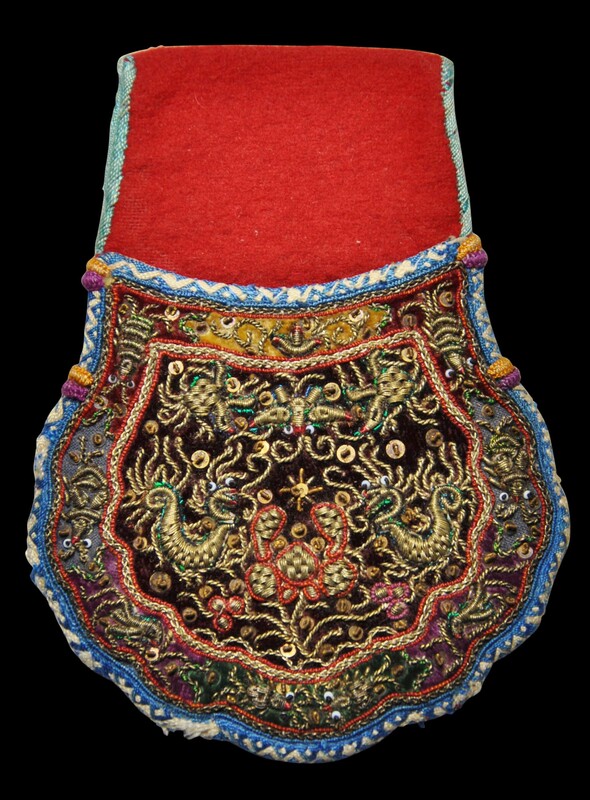 Such purses were worn by the bride and the groom and would contain token coins to symbolise hoped-for prosperity and abundance. This example most probably was intended for a groom.